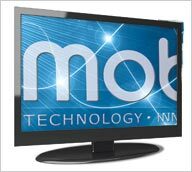 Mobile TV company MobiTV announced it is introducing a solution allowing cable, satellite and IPTV providers to offer so-called TV Everywhere services to mobile phones, PCs, tablets and other connected devices. The TV Everywhere model allows existing cable, satellite, or telco TV/video customers to view programming on nontraditional TV digital outlets once authenticated. Leveraging MobiTV’s existing video distribution platform, TV service providers can now offer their subscribers live and on-demand programming for viewing inside and outside the home. Broadcasters would also be able to integrate MobiTV’s technology with their current TV infrastructure and back-end systems. By promising to save TV companies the time and costs of deploying their own TV Everywhere operation, MobiTV aims to build a new revenue stream beyond its core mobile video service delivered via its own branded properties and via carrier partners including AT&T, Verizon and Sprint. "TV service providers need a cost-effective solution to meet consumer demand for seamless authenticated access to content anytime, anywhere and on any device," stated MobiTV co-founder and president Paul Scanlan. Broadband video provider Brightcove last year launched its own TV Everywhere platform for TV programmers. Time Warner and Comcast have been the main forces behind the verification system overall, while cable networks, such as Turner and Univision, have announced or launched their own TV Everywhere efforts this year. In August, MobiTV filed for an initial public offering in which it reported a net loss of $8.2 million on revenue of $37 million for the first half of 2011. In its filing, the company acknowledged that it faces growing competition from Amazon, Hulu and Netflix, which are increasingly extending their video offerings to mobile platforms. By teaming with TV programmers to power their TV Everywhere initiatives in mobile, the company is also hedging against potential erosion of the subscriber base for its own mobile TV service. Charging $9.99 a month, MobiTV provides access to more than 40 live and on-demand channels, including content from ABC, Disney, NBC, Fox and MTV. The company said in September it delivered a record 167 million minutes of video to mobile video devices. The bulk of that viewing was of live programming.